Fundraising is grueling. Exhilirating at times; grinding at times. Sometimes both. No matter how well you do one year, the bar is raised the next. So what do you do to give each other high fives? High fives, retreats, and ongoing education help to end the year well, acknowledging the successes and the failures. They refill your staff's emotional fuel tanks...even if you're a staff of 1! Here are three things you start as soon as the year-end giving is tallied up. They'll add meaning to your year and even help you keep the staff members & volunteers you want to keep. The ancient Hebrews had a habit of piling up rocks to commemorate significant events in their history. Kids would point to the rocks and say, "What was this for?" and they'd hear the story again. My first capital campaign as a fundraiser was Gordon College's "Salt & Light" campaign. One Christmas, my mentor and boss Bob Grinnell gave each of us a container of salt (mine is in the picture) and a candle. Salt & Light. He talked about how our work was transforming the campus and the experience for Gordon students. And he thanked us. Well over a decade ago, but I still have the container and remember his gratitude. 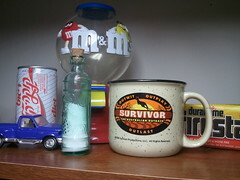 At another place, I gave a staff "Survivor" mugs (mine is in the picture). We'd been through a rough year and had seen many staff leave for different reasons. But all for the benefit of the team. I joked that staff meetings felt like tribal council, it kept getting smaller each time we met. But it was a celebration of the great things we'd accomplished despite the hard year. What can you get that would help tell the story of this year? Celebrating a good year is fun. But acknowledging a bad year has the power to neutralize it, at least emotionally, letting you move on. Stop lights were "go lights"
"Advance" or "retreat," the fact still remains that time away with your team is a powerful tool in your fundraising tool kit. and what can be done differently in the next 12 months. Too often, we expect the executive director or department director to come up with a detailed plan. That may be possible. But getting the input of the people who'll carry out the plan can make it much stronger and give them more commitment to the plan. Since they added to it, it becomes "their" plan. Retreats can lead to surprising discoveries that bring the team together too. These can come by doing a personality assessment or an individual strengths/weaknesses/love doing/hate grids or sharing in cheesy ice-breakers. These discoveries remind us that we work with real people with real stories. Team retreats can conducted with an outside facilitator (like me!). A facilitator can see things about your team and work--both good things and bad--that you don't see any more. You're simply too close. And often your team can hear compliments or suggestions for improvement more easily from an outsider. You could use part of the time to pass out your pile of rocks! 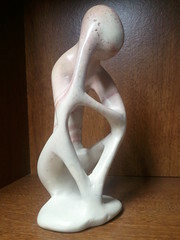 Creating trophies and holding staff retreats are internally focused. But to help make your next fiscal year the best it can be, you and your team will need to have get new ideas coming in too. Movie Mondays [affiliate link]: These brief videos are sent to your inbox every week. You could call your staff in and watch them together. Or you could have each of them sign up and watch them. A standing item at staff meetings could be comparing notes from that week's "Movie Monday" and seeing what could be implemented in your organization. Blogs: There are loads of great blogs on all aspects of fundraising and nonprofit marketing. You could subscribe to this blog and those in the "blogroll" in the column to the right. Many of these also have email newsletters (mine comes out every other week.) Both blogs and emails can bring the new outside ideas right to your desktop or phone. Fundraising Kick: Fundraising Kick is a weekly email for nonprofit leaders who know how to fundraise, they just need a little kick to get out and do it. These short messages give a specific idea for fundraising for that week, often with telephone script or wording for notes. To read more, and see samples, go to: https://fundraisingcoach.com/fundraisingkick. 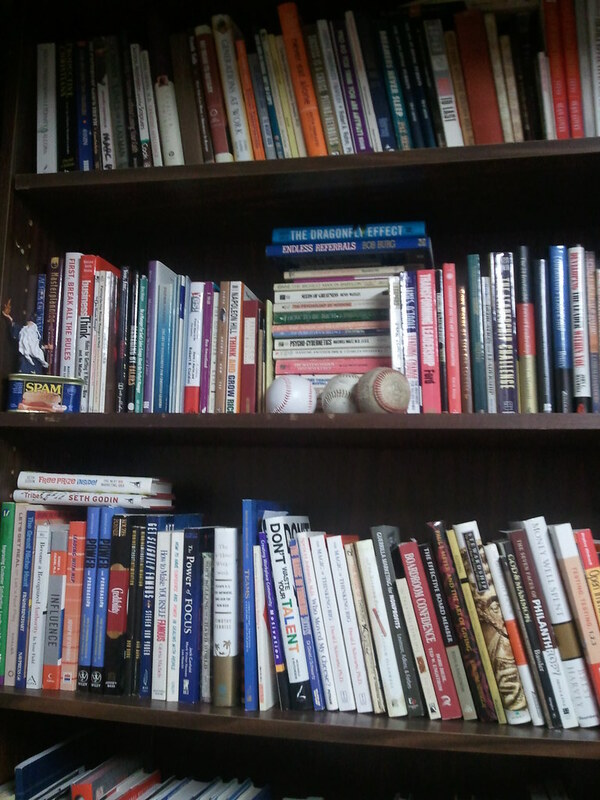 Books: Books are great ways to keep your mind fed with new ideas. Your local librarian can be your best friend in this regard. I of course offer fundraising books. And my publisher Tremendous Life Books has hundreds of books from great authors like Bob Burg that will help you with your sales skills, goal setting, and keeping a positive attitude. I also have dozens list in my bookstore on Amazon [affiliate link]. CDs, MP3s, & DVDS: Many presenters and conferences offer videos and audios from their trainings, often at a fraction of the cost of the entire event. Mine are available in the Fundraising Coach store. 501 Videos regularly has a monthly special [affiliate link]. And for non-fundraising related topics, I'm a fan of The Teaching Company. They too regularly hold sales. CFRE or Graduate Degree: You could plan on pursuing your CFRE or getting a graduate degree in some area that interests you. This type of simple act of investing in your ongoing education has lots of peripheral benefits. You could also check out stand alone classes offered by community colleges and other groups. Conferences: All sorts of national and regional organizations hold fundraising and marketing conferences. 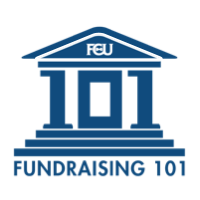 Chapters of the Association of Fundraising Professionals often have conferences and seminars many find helpful. But there are loads of high quality groups out there with conferences that might be a better fit for you. Or perhaps you'd be better served by going to a conference dedicated to social media like PodCamp or a social media breakfast. Executive Coaching: For about the same investment as a large conference, you can hire an executive coach. Coaching is like a highly personalized conference that comes directly to your desk. These sessions not only give you the great information you'd get from conferences, but you get to live them out and see how they "fit" in your day-to-day work. I am a coach, but I was a fan of coaching long before I became a Certified Franklin Covey Coach. I've found coaching to be the quickest way to help me accomplish my goals. And studies repeatedly show the ROI on coaching to be over 300%. I have links to those studies in my Coaching FAQ. Many of the folks in my blogroll and links also offer coaching, so check them out too. That is a lot to digest. And it's only scratching the surface of the training opportunities out there. I know many of them are linking to things I provide. That could seem incredibly self-serving but I'm willing to take that risk. I offered these because of my commitment to make it ridiculously easy for you to get fundraising training. you'll find this year will be better than last. And you'll find your team sticking around because they know you're investing in them. Marc A. Pitman is the author of the popular Ask Without Fear! and a Certified Franklin Covey Coach. A regular contributor to FundRaising Success Magazine, and sought out by news media like Fox News, The Guardian, and Al Jazeera, Marc is committed to making it ridiculously easy for people to get fundraising training. Sign up for his free email newsletter at his site: FundraisingCoach.com.